Recommended for ALL automatic and CVT transmissions. I have a 1990 Ford F250 that had a serious shifting delay in the first 3 gears. I would have to let off the gas and wait for a shift and it could take some time to get into the next gear. I put the Transmission Stiction Eliminator in the trans and kept on driving. It took over a week but like someone passed a magic wand over the truck the trans has been shifting fine for 40K miles. I’m ordering another bottle for my next transmission service. I’m getting a more consistent downshifting in the blue rocket (’94 Geo Metro) now that the Transmission Stiction Eliminator has been in the trans awhile now; even on cold start up. Im not a big believer in additives, but I was having problem with my motorhome Allison transmission. So I thought I couldn’t hurt it anymore than it was, so I added the recommended amount and left on a 2k mile trip. Almost immediately it started shifting smoother. I drove the rest of the trip with no issues. When I got home I added some to my Dodge 2500 trans that wasn’t shifting smoothly either, well it worked. So this stuff works. I bought your transmission fix product for my brother’s truck and it worked great! Got rid of the hard shifts. I have also used your Stiction Eliminator, Diesel Extreme, and Anti Gel. I have an 05 new beetle with the typical 09G hard shifts from the solenoids hanging up. Shop says try a shift kit but I just seen this product on TruckU and thought it might help. Any info on how well this product works in a VW 09G transmission? Hello! 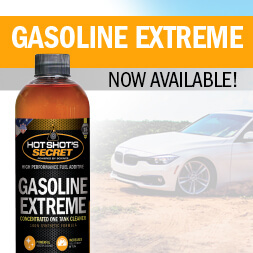 We have gotten positive feedback from users with a 09G who have used the TSE in their VW. Give it a shot, if you don’t see any improvement in your hard shifts let us know and we’ll refund you the cost of the product. Definitely a great place to start! Mike, if your Accord has an automatic transmission than TSE is fully compatible. 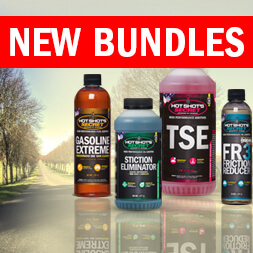 Some manufacturers actually use ATF as power steering fluid, for these types of systems I would recommend TSE. Your Accord requires a Honda approved power steering fluid, so if you’re experiencing power steering issues our FR3 Friction Reducer would be a better option. FR3 has cleaning abilities similar to the TSE, and you can treat your engine as well. Many power steering issues arise from a problem outside of the actual fluid system; but I’d still recommend our products since we offer a money back guarantee on every bottle. Give them a shot and keep us in the loop, we’ll make it right if you’re not satisfied. Will this work in a 2010 jeep patriot with a CVT transmission? Not having and issue with it. Heard alot of good this from my fried about the product. Yes it will work in a CVT! I have a 2007 Jeep compas manual trans can I use it in it? No sorry, the TSE is for automatic transmissions only…thanks! Will it work on a 2003 Saturn Vue with the VT25E CVT Transmission? Yes absolutely Larry, keep us posted! Will TSE work on a 2004 Porsche Cayenne Turbo transfer with a hard 3-4 gear shift? Yes, and this is the perfect scenario to try TSE. Please post a follow-up review of your results Ernest, thanks! Do u have products for a 2007 Toyota RAV4? Hi Ed, the TSE will work perfect along with our oil additives, especially FR3 Friction Reducer…thanks!